Our guests are so kind, considerate, and generous! In many cases, they are also very talented. 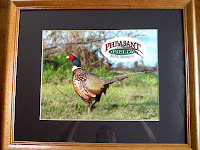 When I arrived home today after running some errands, I found this lovely framed photograph of a ring neck pheasant - complete with the Pheasant Field logo! This piece was composed by Jim C. who stays with us during the fall car show in Carlisle. 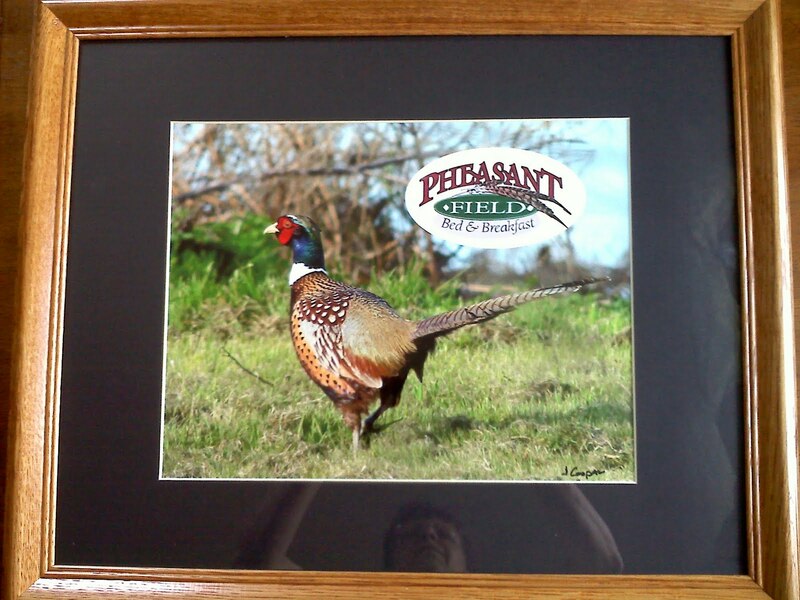 He took the photo at a pheasant farm located near his home. What a nice addition to our Pheasant Field home! Thanks Jim! Speaking of artists - "Seven Lively Artists" art show opens today at Gallerie 13 in Mechanicsburg and runs through August 27th. 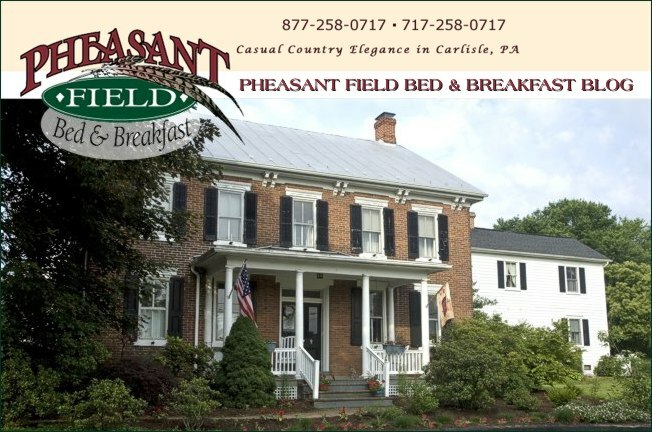 One of the artists, Earl Blust, has taught some plein-air painting classes here at Pheasant Field Bed & Breakfast. We were honored to have him look at our property through the artist's eye, capture some of the features on canvas, and teach other new artists to see the colors, textures, and shading that we just skim over everyday. We all need to pause from time to time and see the whole world as a work of art! ...And smell the roses too!